We are pleased to announce the launch of our new outdoor sculpture project backyardoutdoorsculptureseries#1 which opens simultaneously to Alicja Kwade's solo show at KÖNIG GALERIE. 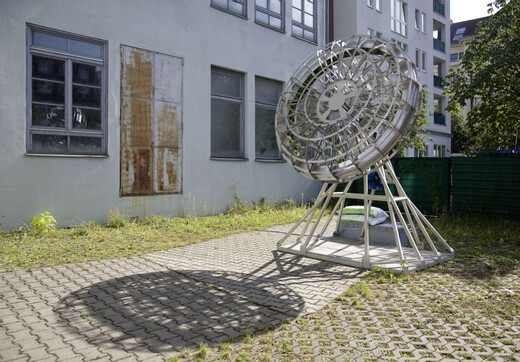 The series will start with rotating space by Andreas Zybach and will be shown in the adjecend backyard of the gallery. The project Rotating Space is based on a concept which NASA used for planning the construction of space stations well into the sixties. Wernher von Braun and other space scientists attempted to create a ring-shaped architecture in which the weightlessness of space would be replaced by a rotational force which would create its own "gravity" and thereby the impression of earth-like conditions inside. 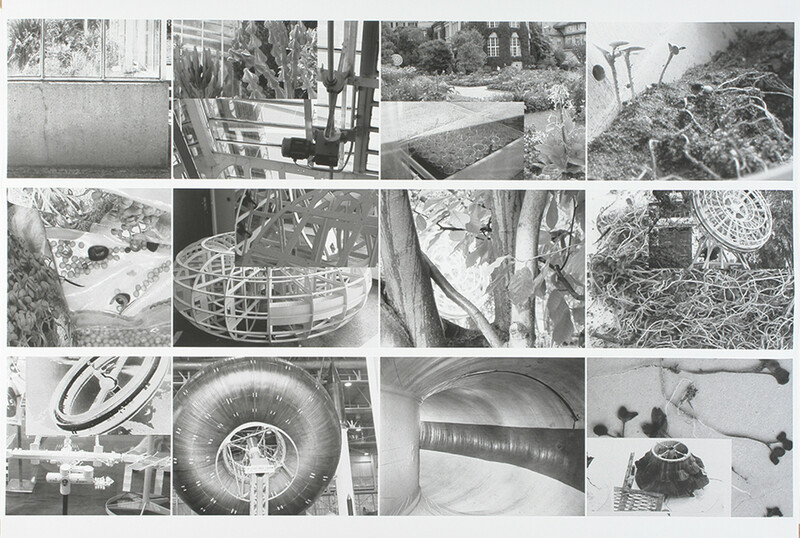 A comparable principle in terms of constructing a controllable environment was realized 2004 at the Botanical Gardens in Munich and its greenhouses and is now on display in its second version at KÖNIG GALERIE The exhibit attempts to bring the two approaches together. Soil, water and seeds are held in the scale model of the space station by means of the rotation effect already described. The growth process is facilitated by the object's constant movement. The project ends when the model comes to a standstill.